Alcoholic beverages are extremely high in calories and can lead to weight gain. A single gram of alcohol contains 7 calories and a single glass 100 calories. Alcohol also prevents you from burning fat. When fat cannot be stocked by your body it is quickly eliminated and the body will burn the calories from alcohol instead of fat. Alcohol consumption encourages the accumulation of these fats which are stored primarily around the abdomen. 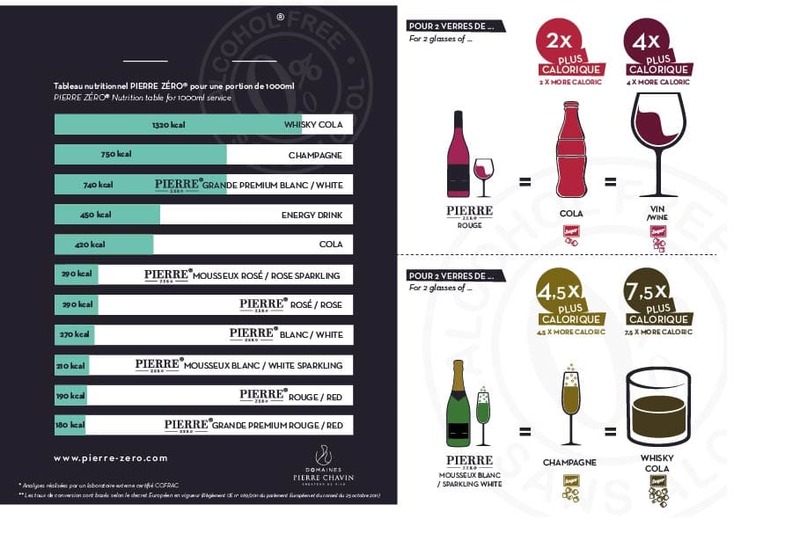 The alcohol free red and white wines from the Pierre Zéro range contain 3 to 6 times less calories than alcoholic red and white wines and most soft drinks. Eventhough sugar levels in non-alcoholic wines are higher, they contain significantly less calories. 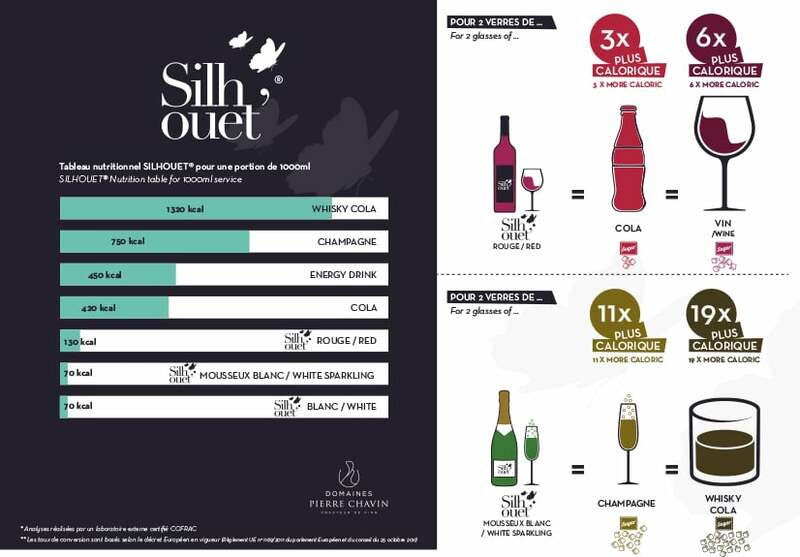 So as not to forget those who are sensitive to the presence of sugar, such as diabetics, Domaines Pierre Chavin’s oenologist has created a non-alcoholic wine made from stevia, Silhouet [Light] for those who are sensitive to sugar such as diabetics. Stevia is a South American aromatic plant . It is a natural sweetener that is widely used to replace sugar as it contains no calories. It is famous for its positive effects against arterial hypertension, dental cavities, diabetes and even obesity. Our Silhouet red wine contains up to 6 times less calories than a regular red wine while our Silhouet white contains up to 10 times less calories than a regular white wine.